Dominator 29M Avantgarde představuje další variantu 29M pro ty, kteří hledají vysoce originální a lehce extravagantní design. Vývojáři i tentokrát dbali na špičkové technologie, vynikající plavební vlastnosti a pohodlný a účelný interiér. 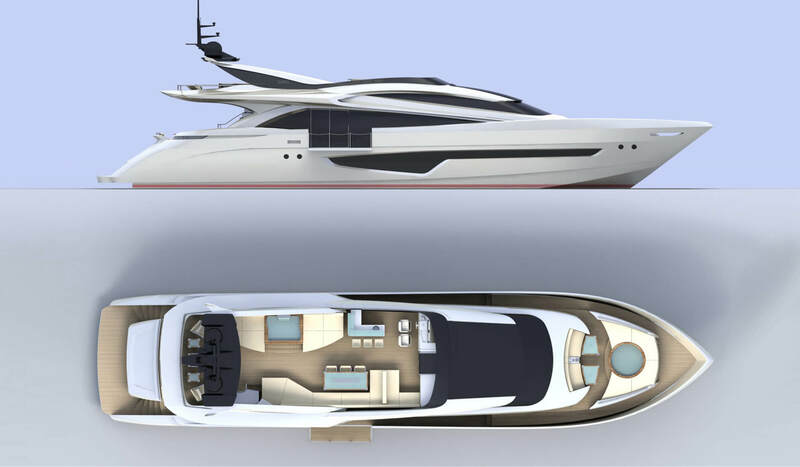 Na palubě lodi ale přibyly některé prvky, které vás nadchnou na první pohled.A sleek superstructure, aggressive exterior lines with wide open windows and elegant tailor made interiors - these are the ingredients for the Dominator 29M Avantgarde. 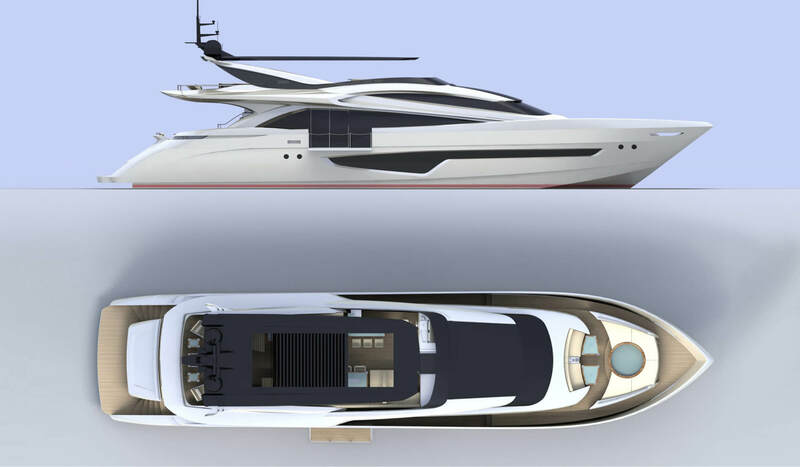 The basic concept of the Avantgarde version offers Dominator-owners a modern and dynamic yacht in addition to the Classic version, where several units have already been built. 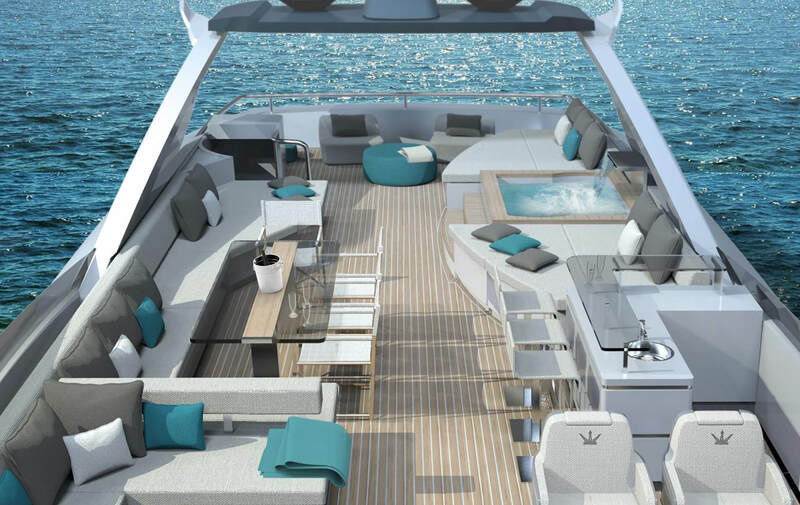 Featuring a very sleek superstructure and a stylish roll bar gives the yacht an 'open yacht feeling'. 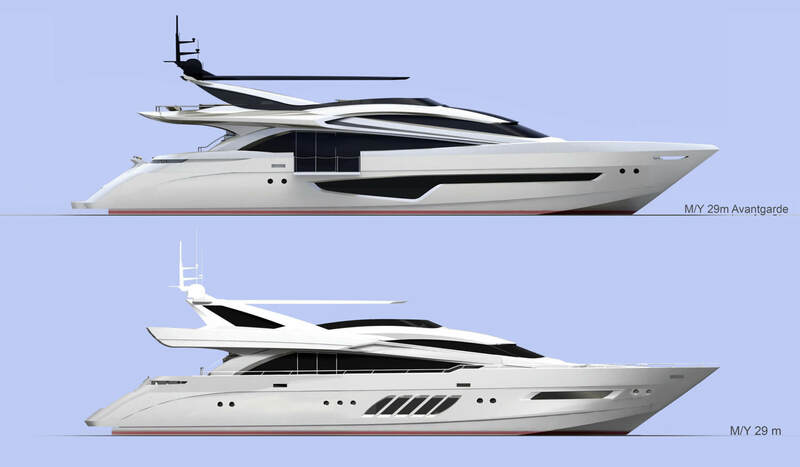 Additionally, the shipyard offers the possibility to install a hydraulic hardtop, where the Dominator owner can choose from a variety of designs as well. This creates a wide area of shadow that permits enjoying the features of the 50 square meters fly, including the beautiful Jacuzzi. 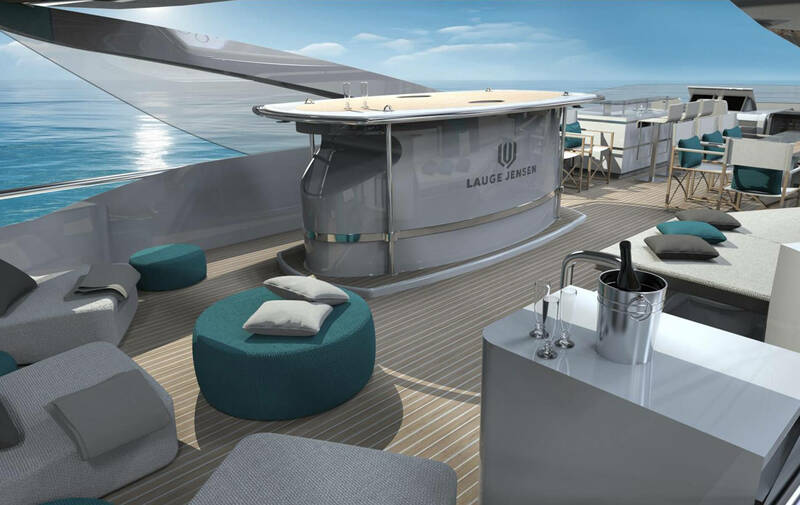 A spacious balcony on the side of the walk-around gives the main deck an amazing view of the sea. Due to the sliding door access from the salon, you can either do your daily workout or just enjoy your morning coffee there. This place is ideal to immerse yourself in the beauty of the surrounding nature. 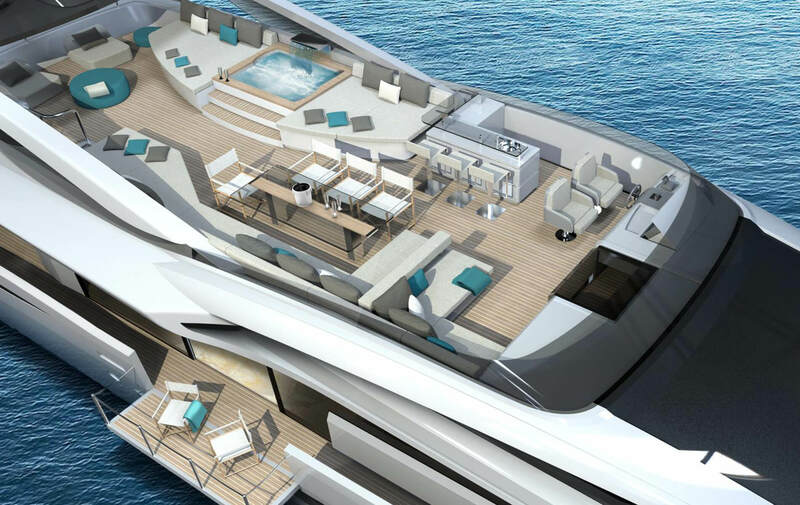 The layout of the yacht as well as all the materials and interiors, according to the Dominator philosophy, can be completely customized to fit exactly the desires and needs of the owner and his family. 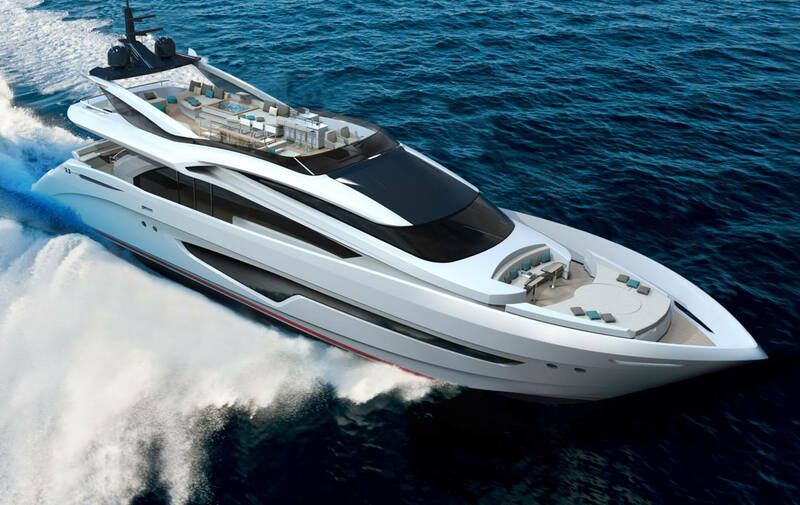 The Dominator design team is constantly on a quest for new and exclusive materials from handpicked suppliers, which make a Dominator unlike any other yacht.